A beautiful smile can erase years of anyone’s appearance and now with more people taking care of their appearance, we have top cosmetic dentistry techniques. Treatments can be used to lighten, reshape and repair teeth, fill in unattractive space, improve or correct bites, replace missing teeth, replace old dental treatments, treat gummy smiles, and so much more. 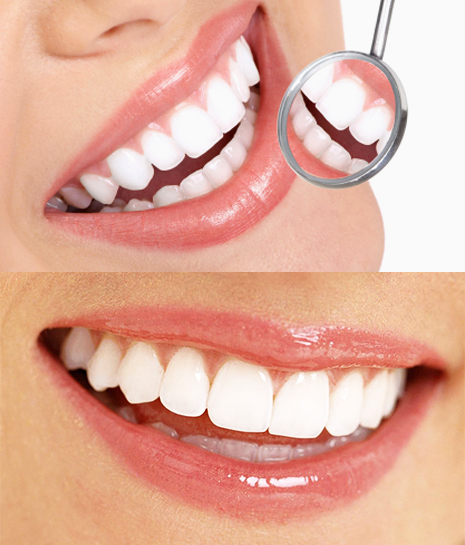 Cosmetic treatments include whitening, tooth colored fillings, veneers, crowns and bridges. Smile Design is the name of the game. At CDC we reinvent your smile following the golden rules and proportions. We guarantee you will have the smile of your dreams. Crowns and bridges (Prosthodontics) offer a solution to missing teeth. Quality depends on a variety of factors including the skill of the dentist in preparing and fitting the work, the quality of the dental laboratory used and the quality of materials used to manufacture the unit. At CDC we control every single step during your treatment, from the initial treatment plan to the fitting of the final work. Our in-house dental laboratory helps us provide our patients with the most aesthetic and functional crowns quickly and effectively. Dental implants are a permanent solution for missing teeth. A titanium screw is placed in the jawbone to replace the tooth’s natural root. This integrates over a period of two to four months as the bone grows around the screw and holds it firmly in place. A Ceramic crown is then placed onto the fixed screw to replace the original natural tooth. This treatment is suitable for the replacement of a single tooth or a complete teeth loss in the upper and lower jaw. 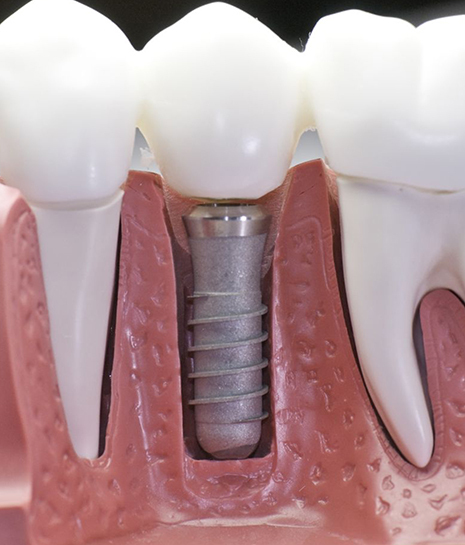 The cost reflects the quality of the implant components utilized, the skill and experience of the dentists carrying out the procedure and the quality of the dental laboratory used to manufacture the final crown. The results provide the patient with the closest alternative to their natural tooth or teeth so that their smile can look aesthetically superb and provide complete confidence when biting, chewing and laughing. Myobrace® treatment works by focusing on correcting the poor oral habits which are the underlying causes of orthodontic problem. Myobrace® is designed to deal with the incorrect myofunctional habits by teaching children to breathe through their nose, rest the tongue correctly in the roof of the mouth, swallow correctly and continue widening the jaws so they grow to their full and proper size. This results in sufficient room for the teeth, allowing them to come in naturally straight and often without the need for braces. 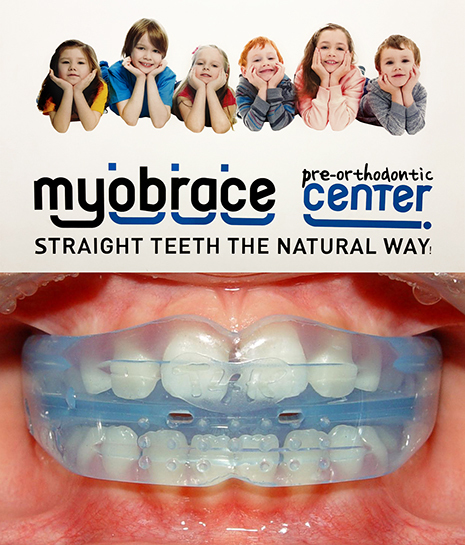 Myobrace® treatment starts with habit correction and works through a series of three or more appliances to correct the causes of orthodontic problems and align the teeth as they grow into the mouth. - Be more difficult to clean. If you are not happy with the way your teeth look or work, an orthodontic treatment can help. Orthodontic treatments straighten your teeth so they look and work better. It may even improve the structure of your face, and help your jaw muscles function efficiently. 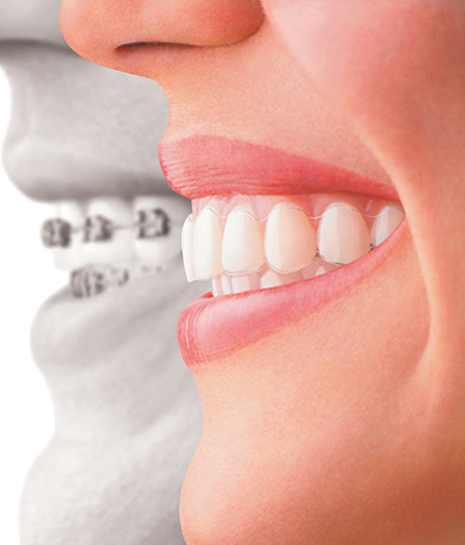 Orthodontic treatment uses braces or other appliances to put gentle pressure on your teeth. Gentle pressure over a number of months can move your teeth into the right position. What makes the orthodontic treatment at CDC so special? At CDC we provide interceptive orthodontic treatment for children under the age of 8 without braces, to correct a developing problem. We provide state of the art braces for teens and adolescent with the latest orthodontic technology: Computerized diagnosis and treatment planning. Pre visualisation of treatment outcome before the onset of the treatment. No head gears, no pain. Customized treatments for every single patient according to their needs. Invisible appliances (for the most demanding patients, adults or adolescents) include lingual braces (braces that fit on the inside of the teeth) or removable clear aligners. We deliver individualized treatments for every single patient using a wide array of orthodontic techniques, choosing the technique that is best for each and every case individually to finish the treatment as quickly as possible giving you the smile you always wanted. We explain and answer all your questions regarding your different treatment options. The sooner a child begins to learn about dental health, usually around the age of four, the better. 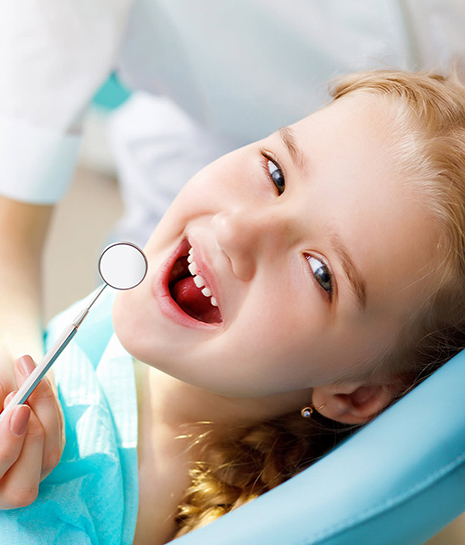 We offer every possible means of oral treatment, maintenance, and prevention for the care of your child. Pediatric treatments consist of: fluoride treatment to prevent cavities, oral hygiene instructions to better clean the teeth and gums, sealants to prevent cavities, and a variety of restorative procedures. We also provide various forms of preventive orthodontics treatment. In the past, dentists could only treat cavities and tooth decays with silver and mercury fillings. Modern restorative dentistry has replaced these unsightly fillings with tooth-colored composite fillings made of porcelain or resin. These fillings are sealed to the surface of the tooth, creating a strong bond that prevents future decay. Regardless of the size and shape of cavities, porcelain inlays and onlays (also known as indirect fillings) are designed to fill these cavities and damaged areas in the teeth. 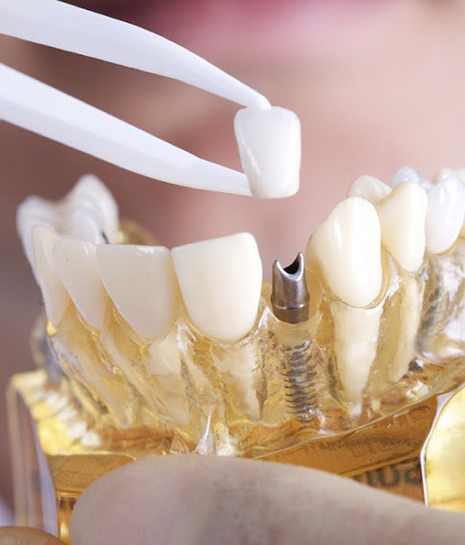 However, while traditional fillings fit inside a cavity, inlays and onlays are placed on top of the tooth to build it up and add strength, while regular fillings are made of a soft material that is fitted inside the tooth, inlays and onlays are molded in our laboratory from porcelain and cemented in place. These lead to indirect effects or direct exposure of the very sensitive nerves and blood vessels of the pulp, inflammation, infection and abscess formation. All of these result in varying degrees of pain, sometimes of a very severe nature. 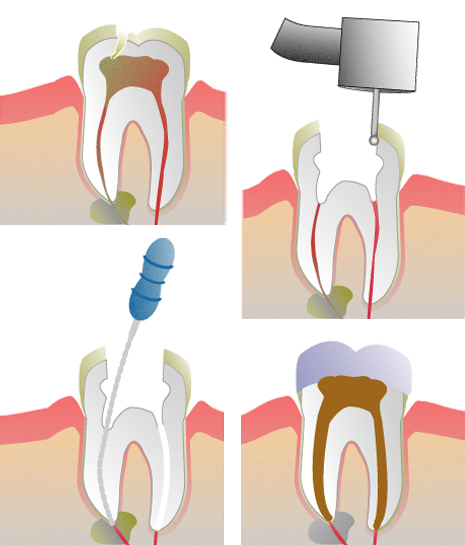 Once severe inflammation or infection sets in, the only treatment is to remove the diseased tissue with small, delicate files while time cleaning and shaping the root canal system. Specialist Endodontists working at CDC have developed special clinical skills and qualifications to execute the required procedures more effectively. This leads to a more predictable outcome of your treatment. Due to the complexity involved in advanced cases the delicate procedures can be very time-consuming.